Kalix is perfect for healthcare professionals starting out in private practice, to those with an established clinic. 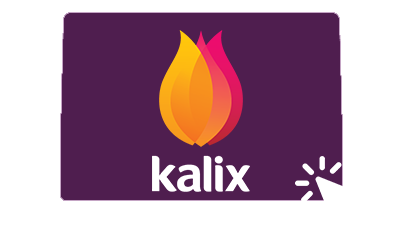 Kalix is cloud based, working seamlessly on all modern browsers, PC, Mac, tablet & mobile devices. No downloads required. We've worked hard to simplify and streamline tasks, removing the unnecessary steps that just cause confusion. Tailor Kalix to suit your own workflow. Simply select the features you need run your practice and you’re good to go. 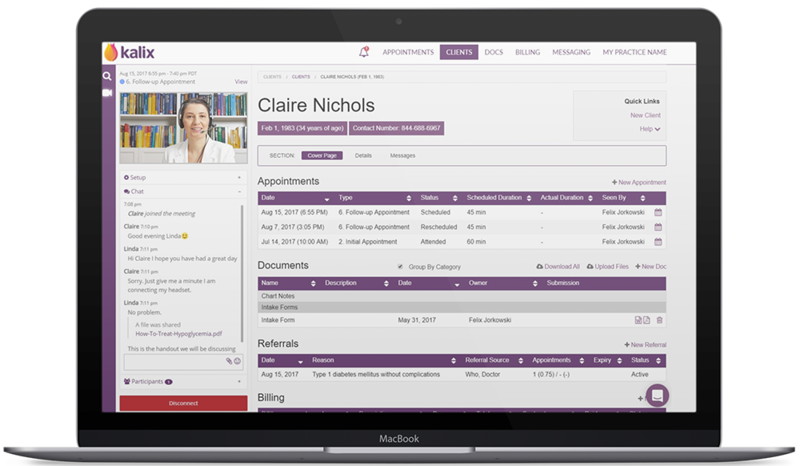 Kalix offers telehealth, scheduling, messaging, e-faxing, charting, electronic forms, billing & more, in one beautifully designed system. From $27 a month, Kalix is super affordable. With no contracts, the freedom to upgrade, cancel at any time, Kalix saves you money. Advanced HIPAA-compliant security, means Kalix meets all government privacy & security requirements. Schedule a free, no obligation, one-one-one demo of Kalix. Learn about how Kalix will make your practice more organized and productive. We will also run through Kalix's features, & answer any questions you have. Flexible calendars & online scheduling via your own website. Invoicing, superbills & insurance claims with online & in-person payments. Video conferencing with file sharing, screensharing, chat & group appointments. Track clients' progress with the integrated food, nutrient, exercise, and weight tracking app. Chart notes, forms, client summaries, letters & more. All templates are 100% customizable. Electronic agreements & online client forms. Save time by automating your intake process. Intelligent appointment and payment reminders (text, voice and email). Send & receive notes, letters, uploads & more through HIPAA compliant e-fax. Share messages & files with clients & contacts securely, at any time. Kalix is loved by thousands of dietitians and other healthcare professionals from around the USA and the rest of the world. Kalix is a cost-effective, secure EMR that allows me to chart from anywhere. It's easy to use and customize, and I love how the company continues to grow and innovate with new features. This software has saved me loads of time and gave me the confidence to start my private practice!!! 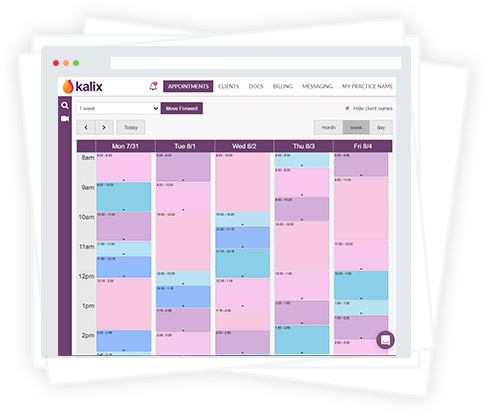 Kalix’s Online Scheduler has helped me market my services and brand faster through social media and on my website, which is really helping increase my bottom line and improve customer retention and relations! Sign up for a free trial and contact us with any questions. We also offer free online one-on-one demos & training. Register now for a free, no obligation one-month trial (no credit card details required). Registration takes less than 30 seconds. Gain instant access to the full version of Kalix.